‘Tis the season for giving! Christmas, Hanukkah, Kwanzaa, the Winter Solstice, Boxing Day … whatever holiday you and your loved ones celebrate, December proves to be a month full of gifting. (And wracking our brains trying to figure out what to give people!) In order to make the whole process a little easier, below you’ll find multiple gift ideas for the beer lover in your life. Beer glasses are always a popular and simple choice for a gift along with easily being the most accessible gift to purchase as you can literally get beer glasses EVERYWHERE – grocery stores, big box stores, department stores, specialty shops, etc. There are so many different types of glassware to choose from, and if you really want to impress the receiver of your gift, it helps to do your research. 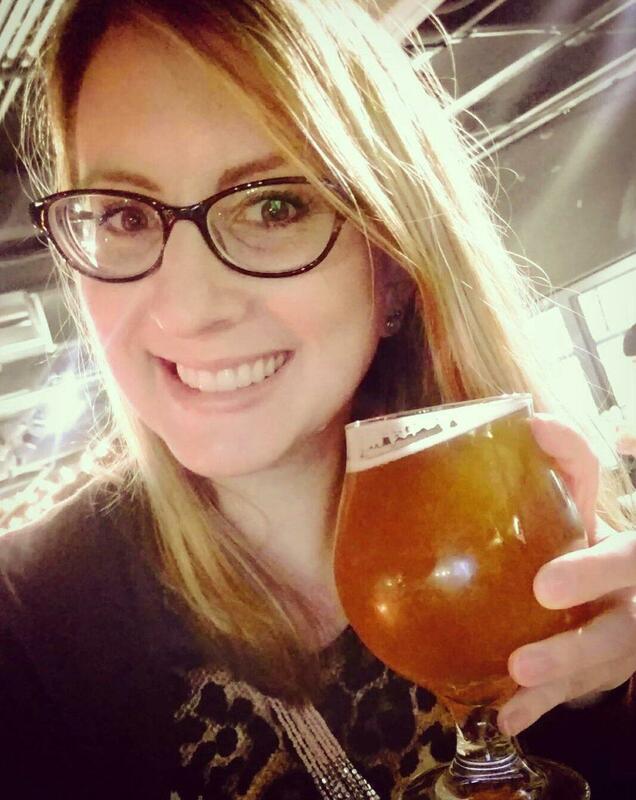 A few months back, I wrote an article specifically about the different types of glasses; you can find all of Brew Time’s past articles online at the Table Hopping website, www.tablehopping.com. Search and choose “Brew Time” from the drop-down list and scroll down the articles until you get to September 2018’s article. It’s here where you’ll find glassware and what type of beer works best for each specific type. If you’re aware of the person’s favorite beer preference, you can select the specific glassware to gift them. One of the best places to purchase glassware is online, because the options are truly limitless. If you go to Amazon.com and search for “beer glasses,” over 30,000 results are available at your fingertips. This makes for a great place to start and refine what you’re looking for. In addition, you can even order personalized glasses if you’re into giving something more customized. Bonus: Gift the appropriate glassware along WITH their favorite beer and you’ll look like a pro who really knows their stuff! Speaking of online shopping, the internet is chock full of unique ideas for gifting. www.Etsy.com is a great place to look for customized and personalized gifts while supporting individual artisans and small businesses. A few examples of unique finds? All-natural Hoppy IPA beer soap (among many others) made by SwagBrewery out of Florida. Shower beer holders made by 3Dvisualsanddesignco out of California. 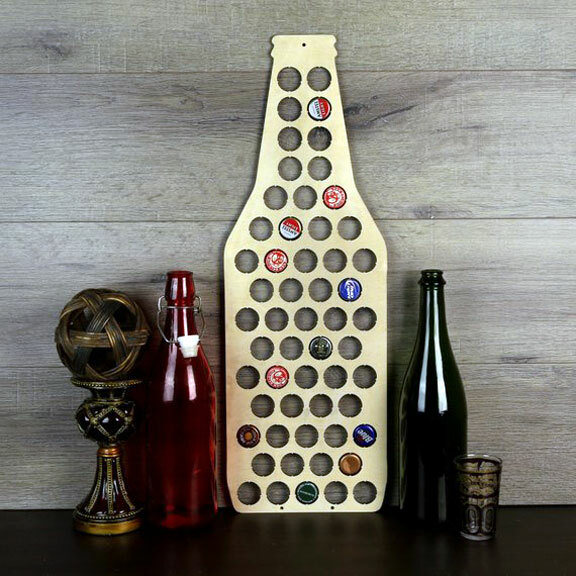 Beer bottle cap holders made out of wood that has been laser-cut into different shapes, including different states. Made by HomeWetBar based out of Oklahoma. 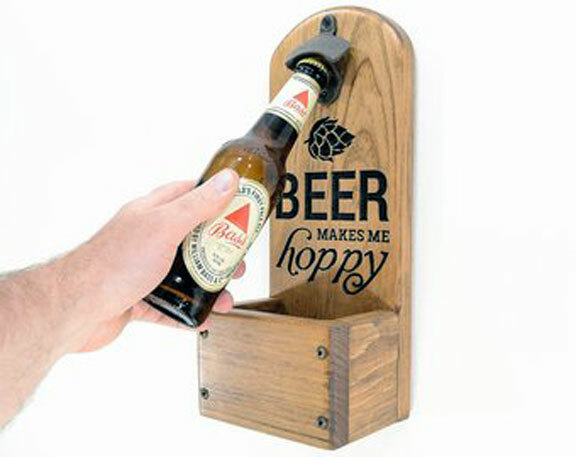 Customized wooden wall beer bottle openers by ThisBusyLilBee out of New Jersey. These Etsy possibilities are just scratching the surface of everything on the website from beer candles, to baby beer-themed onsies, beer earrings, personalized etched-glass growlers, to knitted beer can mittens and a variety of handmade beer-themed ornaments. 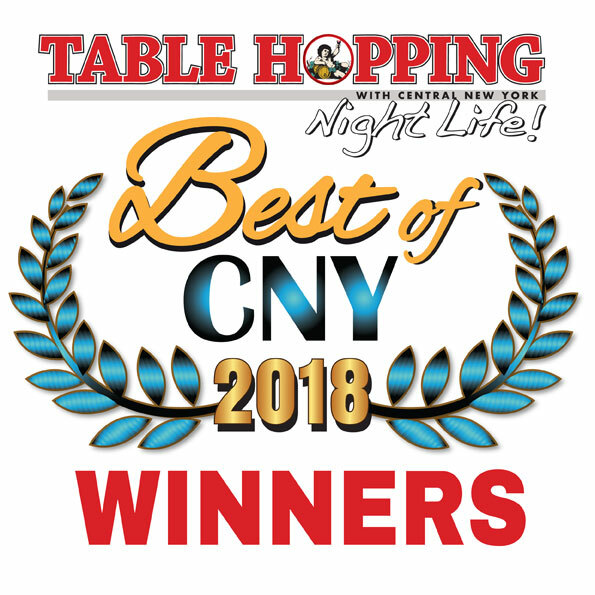 If you enjoy the idea of purchasing items closer to home and supporting local businesses, look no further than some of our own small specialty shops in Syracuse. Wildflowers Armory (225 West Jefferson St.) and Eureka Co. (210 Walton St.) are two small shops that feature local artists and artisans where you can peruse many unique finds including handmade coasters & glasses. And don’t forget our local breweries! All of our breweries in the greater-Syracuse area have tons of swag available for purchase. T-shirts, sweatshirts, glassware, stickers, pins, etc. In addition, you can also purchase beer and gift cards. 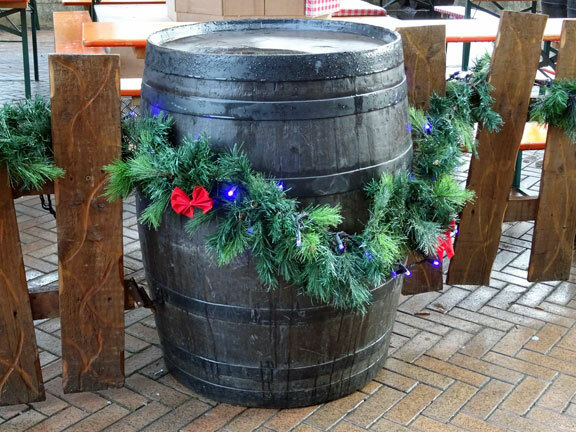 A great gift idea for someone who loves a specific brewery in particular! For a gift that keeps on giving all year long, look no further than a beer subscription. Yes, it’s really a thing! The Microbrewed Beer of the Month Club (www.beermonthclub.com) offers 5 different customizable membership options starting from $27.95/month plus shipping. The Craft Beer Club (www.craftbeerclub.com) gives you the option to purchase anywhere from 1 to 12 shipments, that can be sent monthly, every-other-month, or quarterly at $42.00/shipment with shipping included. Tavour (https://about.tavour.com) is an app-based subscription service, where you can send someone “beer money,” either electronically or in physical gift-card form, to start their own subscription, or you have the ability to send them a gift box of uniquely curated & hand-picked beer. 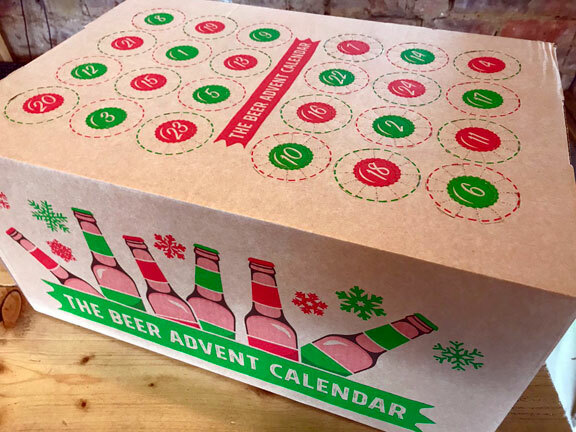 OR if you’re feeling especially crafty, being able to purchase individual bottles makes for the ability to put together a beer-themed Advent calendar. Which can also make for a fun and unique gift. There are so many ideas to get you started by doing a simple Google search or starting a Pinterest account. Or use the K.I.S.S. (keep it simple, stupid) method and just use some festive wrapping paper to wrap each beer individually, mix ‘em all up, then label each bottle/can with a number (or the six-pack holders they came in), and open one each day for either the whole month of December, 8 nights of Hanukkah (12/2-12/10), 7 days of Kwanzaa (12/26-1/1), or the 12 days of Christmas (12/25-1/5).